8 CRM Tools you ought to start using RIGHT NOW! In the digital age, customer relationship for businesses is not just about sending emailers and once in a while calls or meetings; it’s much more than that. It involves present as well as potential clients. You need to be constantly updated about your field and know what’s been discussed about it. Because of the social media, the conversations are on an even larger scale and that makes it hard to keep a track of what’s been happening. This is where CRM (Customer Relationship Management) tools come into play. The social media aspects of conversation do not just track the trends but also are at the centre of all your professional relationships. In this post, we will be taking you through some CRM Softwares that will help you to manage your customer interaction better. CRM tools help along with the social media marketing services, i.e. integrating both of those to yield the best CRM results. What do the CRM tools do? 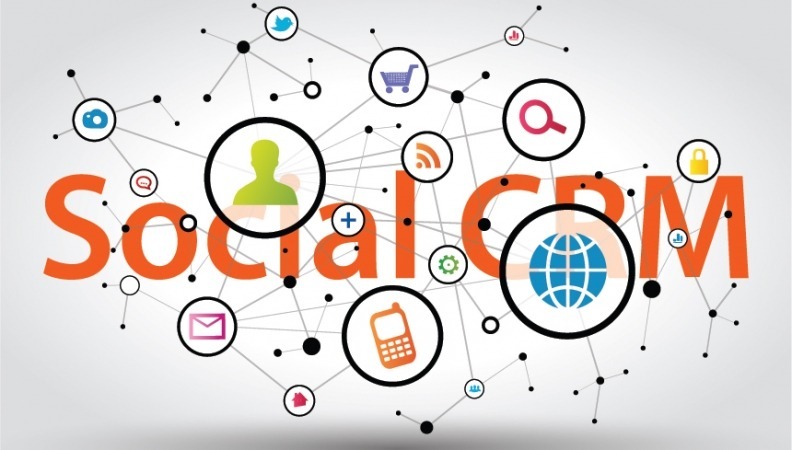 Social CRM Softwares integrate all the data from the conversational/social platforms as well as social media and gauge the ROI. It makes it easier for businesses to create marketing strategies while keeping in mind the trends. These tools analyse the data that is relevant to customer relationship sans the bulky data entry work. It keeps the track of all the leads and thus improving the efficiency of the businesses. These Softwares monitor the conversations on the web to enhance the communication strategy and they use the influence on online channels for the betterment of customer relationship. CRM tools can either be used independently or as an addition to the traditional CRM activities. All that matters is that there’s a conversion of the online conversation into the information that is relevant for your business’ customer relationship management. 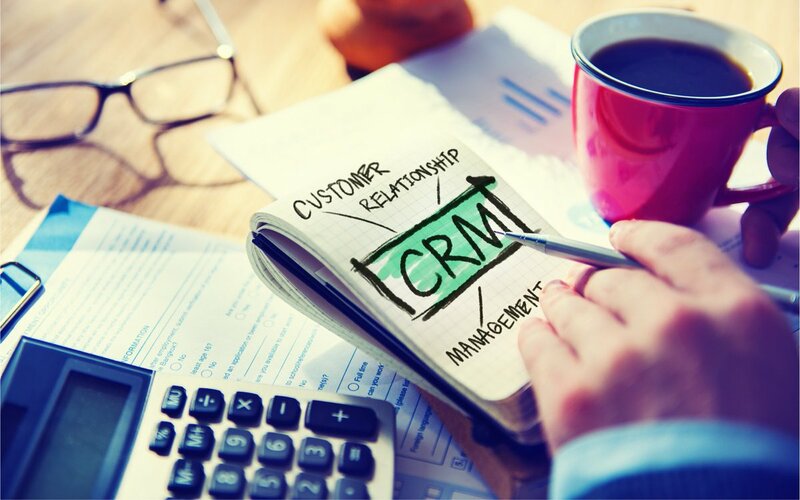 So here are a few CRM tools that we have listed down that can be helpful for your business. ZOHO CRM software is an award winning CRM Tool that is devised to attract the potential customers as well as retain and manage the existing ones. Zoho CRM is an award-winning web-based CRM designed to attract, retain, and satisfy customers to grow your business. Even if you are a large business, entrepreneur or a start-up, ZOHO is a great tool to implement automation in the daily business processes like tracking sales and engaging customers on various social platforms. It also has a mobile application that helps businesses to track the CRM on location and real time. The best part about this software is that it can be integrated with other applications like Outlook, MailChimp, QuickBooks, and so on! A very few CRM Softwares have VOIP (Voice over Internet Protocol) feature; Buzzstream is one of those. It imports and exports the calls real time! This tool focuses on enhancing the communication on the web (desktop) as well as the phone. It helps the businesses connect with clients around the globe. It helps businesses to create a strong relation with people affiliated with the business. It has a feature that can specifically target your niche to optimise your CRM efforts. Agile CRM is yet another Customer Relationship Management Tool that proves helpful in optimising the voice process for CRM. Agile also has a feature that makes managing the customer service easier – through email and chat process. Insightly is feature-rich CRM tool. Even if your business has just started, you can still use this tool using their free plan. It helpful for startups and small businesses for contact management, project management, opportunity management and detailed sales reports and so on. You can integrate Insightly with other programs such as Gmail, Google Apps, Google Drive, Outlook. Using this, your email conversations can be automatically saved into contacts and projects, create tasks, and sync contacts and calendar in your CRM efforts. SALESFORCE is a cloud-based CRM Tool that’s beneficial especially for small businesses. It helps you find your potential customers, sales, and help in growing the business. It offers features like Contact Management – All your business contacts managed seamlessly together. Along with lead generation, sales forecasting, collaboration tools, workflow automation. All in all, an easy to use platform. More so because it is cloud based that offers an access to your data whenever you want, wherever you want. It has various packages and you can buy one according to your business size and requirements. Nimble is also called as Intelligent Relationship Platform. Nimble CRM automatically updates itself with relevant client information that is gathered from various data sources. It is used to track social insights for businesses. It matches the social profiles that help in better email forecasting. It also enhances social prospecting. It can be used for sales pipeline management, forecasting, and analysing. It is also a great tool for group email marketing as well as tracking. The best part about this platform is the amazing visual appeal it offers. It’s on of the easy to set up and easy to use CRM tools that do not require an intense training. This one is best for the small businesses. It offers ease in the deal pipeline and conversion rates in the funnel as well as management.